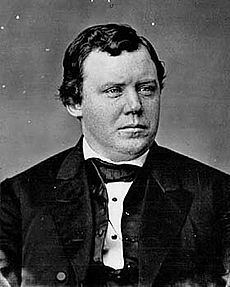 Into the shadowy world of Ouija boards, seances and ghostly rapping from beyond, there once sauntered a controversial character whose alleged mystical powers and outlandish theories on religion, the cosmos and lost civilizations shocked and entertained a gentian of Americans. 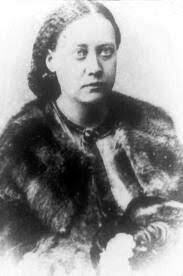 Helene Petrovna Blavatsky, known to legions of devoted followers as Madame Blavatsky, was a guiding force behind the spiritual renaissance of the late 1870’s that saw reputations—and financial fortunes—of mediums and mystics surge to new heights of respectability. At one point, this chain-smoking, hot-tempered daughter of Russian nobility and founder of the Theosophical Society would boast that she was more popular than either the king of England or the president of the United States. In spite of her great popularity, however, there were those who insisted that Madame Blavatsky was nothing more than a fraud and a vulgar adventuress. Born Helen Petrovna Hahn in czarist Russia, the future spiritual leader early showed a marked interest in fantasy and make-believe. One of her favorite childhood games w to entertain friends by telling them stories about invisible companions she called “hunchbacks.” Her storytelling skills were said to be so great that she often frightened the other children and made them have nightmares. When she was sixteen, Helene married Nikifor Blavatsky, the minor government official thirty years her senior. The marriage lasted only a few months, but she would style herself forever as Madame Blavatsky. While still in her teens, Madame Blavatsky—a tall, striking beauty with dark hair and exceptionally blue eyes—embarked on a series of global travels and adventures that would eventually take her to America. For the next twenty-five years, she wandered the world visiting hidden monasteries in Tibet and the catacombs of Rome and Paris and studying the secrets of the Egyptian pyramids, eventually winding up in New York in June 1873. Her timing couldn't have been better, Madame Blavatsky now plump and graying, was immediately caught up in the wave of spiritualism and interest in occult phenomena sweeping the nation. 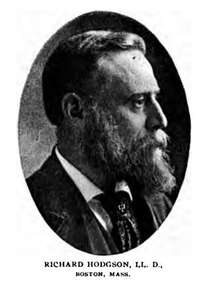 At a seance in Vermont she met Colonel Henry S. Olcott, a newspaperman, lawyer and ardent spiritualist. In 1875 Madame Blavatsky published her first book, an enormous and very confusing volume called Isis Unveiled. Critics snickered and were generally harsh in their reviews, but the massive work did succeed in gaining large numbers of occult-minded followers. Highly successful, the book was followed by another in 1888 called The Secret Doctrine. In this landmark two-volume book, Madame Blavatsky reported that revelatory spirits from the Orient had taught her about the lost continents of Atlantis and Lemuria. Scholars and critics were quick to claim that much of the work was stolen from books by other occultists and crank scholars like Ignatius Loyola Donnelly’s book on Atlantis. Nevertheless, the book sold extremely well, earning Madame Blavatsky immortality among die-hard followers of mysticism and popular lost worlds’ theories. Written in the same lofty, confusing style of her other worlds, The Secret Doctrine sets out the author’s view that the Lemurians were the third of seven “root” races of mankind. The fourth race was the Atlantans, who were said to have evolved from the Lemurians as Lemuria San beneath the sea several thousand years ago. Atlantis, which occupied a spur of ancient Lemuria, was destroyed about ten thousand years ago during a cataclysmic upheaval. 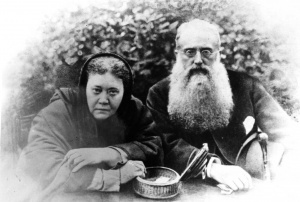 Madame Blavatsky believed that refugees from the disaster escaped to Central Asia where they evolved into modern Hindus and Europeans. She also suggested that survivors might have fled to America, where they intermarried with Indians and gave them the technology to build the great monuments of Mexico and elsewhere. It was in India while researching her book that Madame Blavatsky was introduced to the “Masters,” or “Mahatmas.” The Mahatmas supposedly were spirit forces that dwelled in the mysterious and remote mountains of Tibet. According to Madame Blavatsky, these kindly “lords of the unseen world” confided great secrets to her during their travels together—spectacular secrets about out-of-body travel, archaic history and the cosmic future of mankind. 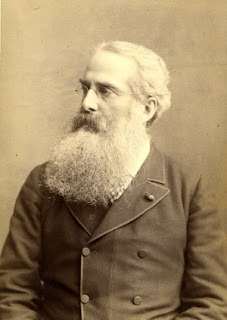 Even devout Theosophists began to regard their former leader with suspicion. Some questioned her stability, while others called her “a potentially dangerous woman.” Growing numbers argued that Olcott should take her place as head of the organization. Weary and frail, the once-powerful mystic agreed to step aside and then retired to a friend’s house in London. 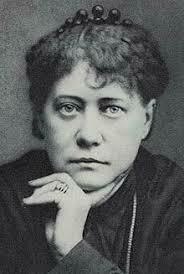 On May , 1891, Madame Blavatsky died quietly in her sleep. The old Theosophists body was cremated at Woking Crematorium in Surrey, England. Finally, Madame Blavatsky's breakdown with the Theosophist Society was not long lived and today she is still continued the mother of their reasoning. In 1924 the then leader of the society, G de Purucker, lectured on Blavatsky's Secret Doctrine; eventually, he s implied her works in a book called Fundamentals of the Esoteric Philosophy. A great read you can and should read for free at FUNDAMENTALS OF THE ESOTERIC. Parts of this post from The Good, The Bad, And The Mad. 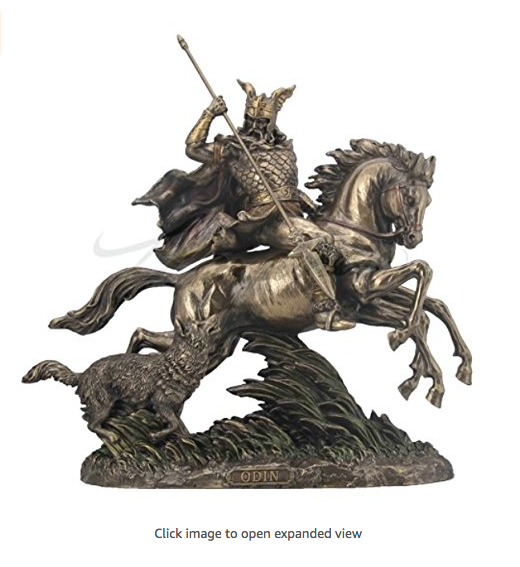 On this day (July 26) the festival of Sleipnir, Odin's eight-legged horse that can take the rider between the three worlds: Asgard (heaven), Midgard (Earth), and Utgard (the underworld). 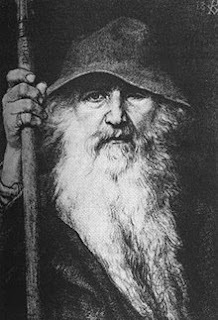 As the Norse sky god, god of war, and god of the dead, Odin had the ability to transcend the planes of consciouness, which allowed him to oversee the fate of the human beings.